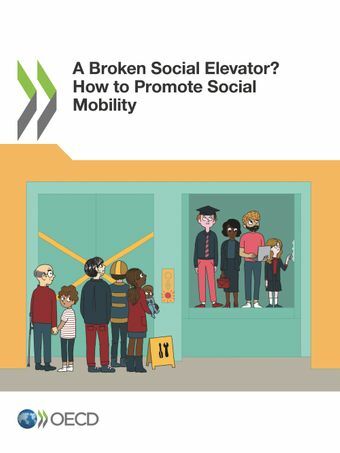 This report provides new evidence on social mobility in the context of increased inequalities of income and opportunities in OECD and selected emerging economies. It covers the aspects of both social mobility between parents and children and of personal income mobility over the life course, and their drivers. The report shows that social mobility from parents to offspring is low across the different dimensions of earnings, education, occupation and health, and that the same prevails for personal income mobility over the life course. There is in particular a lack of mobility at the bottom and at the top of the social ladder – with “sticky floors” preventing upward mobility for many and “sticky ceilings” associated with opportunity hoarding at the top. The lack of social mobility has economic, societal and political consequences. This report shows that there is space for policies to make societies more mobile and protect households from adverse income shocks. It discusses the options and measures that policy makers can consider how to improve social mobility across and within generations. Time is money: What drives income mobility? This report has been produced with the financial assistance of the European Union. The views expressed herein can in no way be taken to reflect the official opinion of the European Union. The OECD Income Distribution Database offers data on levels and trends in Gini coefficients before and after taxes and transfers, average and median household disposable incomes, relative poverty rates and poverty gaps, before and after taxes and transfers.